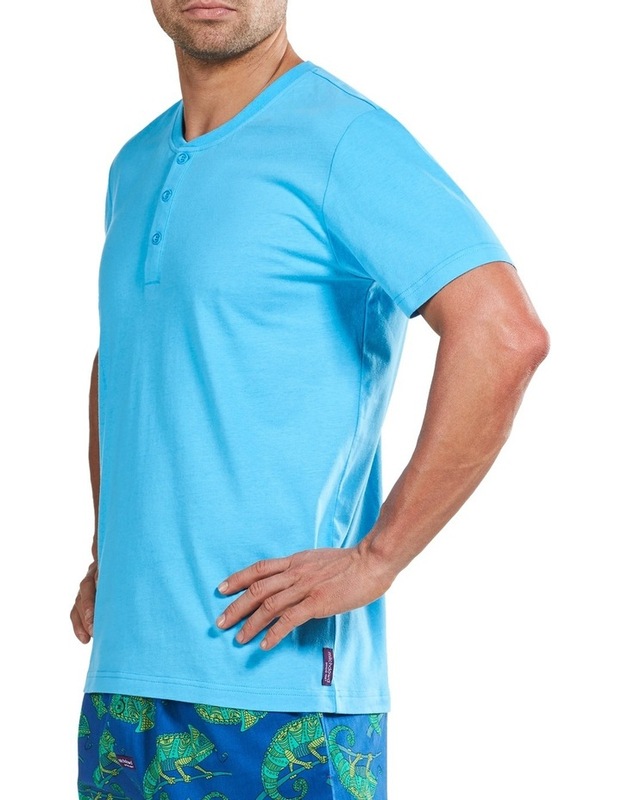 Hang out with mitch in our classic men's short sleeve henley sleep tee. Lovingly crafted from 100% cotton jersey which breathes beautifully featuring a round neckline and a functional front placket with mitch dowd embossed buttons. This tee is perfect for bed or just lazing around on the weekend. We'll keep you comfortable, make you feel good and put a smile on your face. 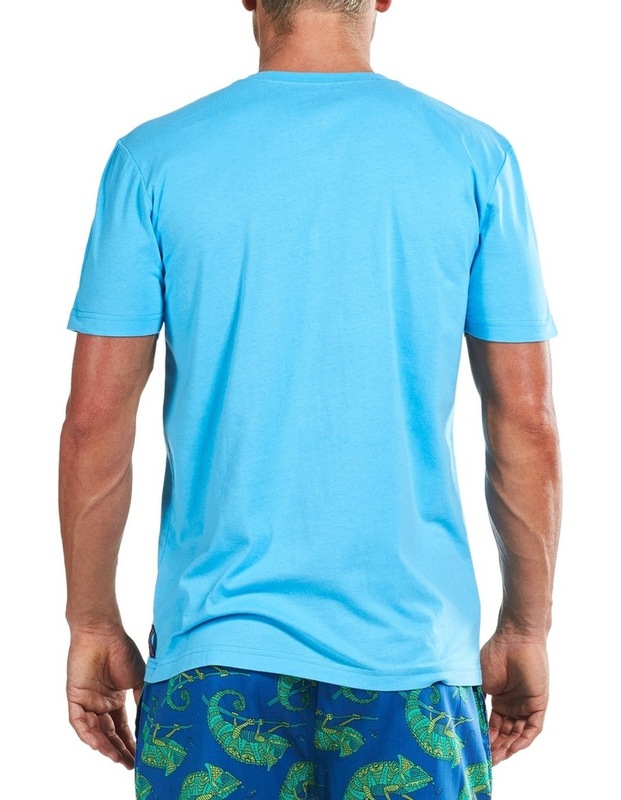 Why not give yourself a 'goodnight' pair with any md sleep shorts or pants for the complete look. 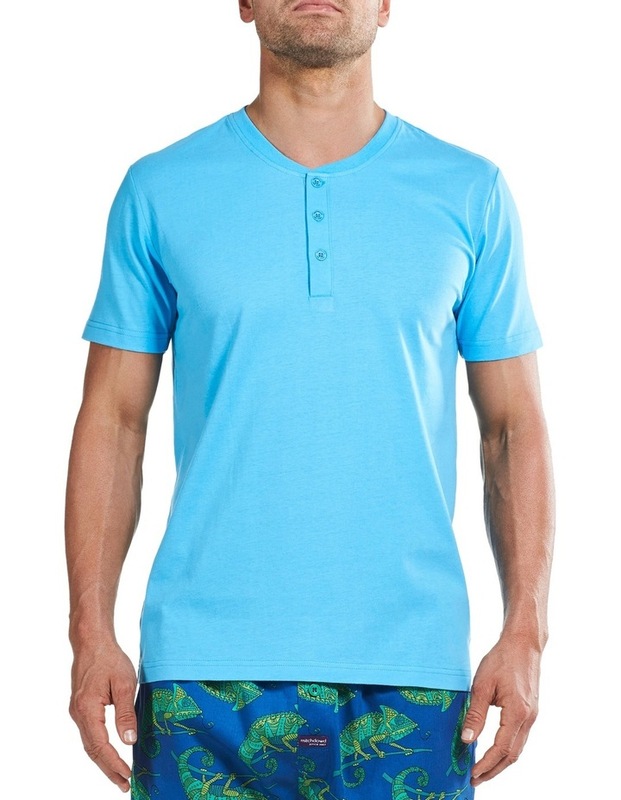 100% cotton jersey round neckline functional front placket with md embossed buttons short sleeves colour: aquarius sizes: S - XXL model wears size m warm gentle machine wash Style No. VTL020.